If you are in the Fargo area and are looking for one of the most advanced multimedia receivers on the market, drop by The Audio Garage and check out the Kenwood eXcelon DDX9905S. This Double-DIN receiver is part of the new Reference Series from Kenwood. 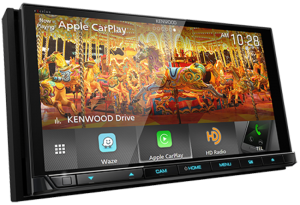 It includes all the latest smartphone integration, high-resolution audio and multimedia features you could ever want. 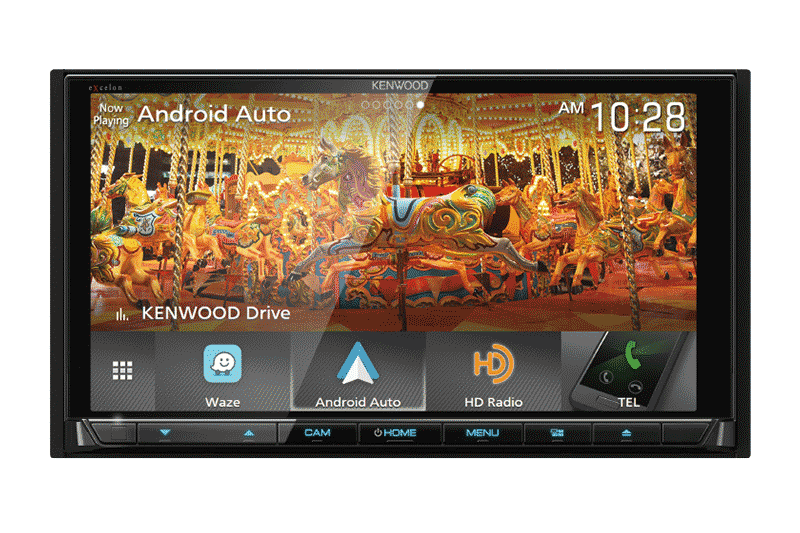 The Kenwood eXcelon DDX9905S includes Apple CarPlay and Android Auto smartphone integration. If you have a Google Pixel, Pixel 2, Nexus 5X or Nexus 6P phone, you can use Android Auto wirelessly using the internal Wi-Fi hotspot in the 9905S. 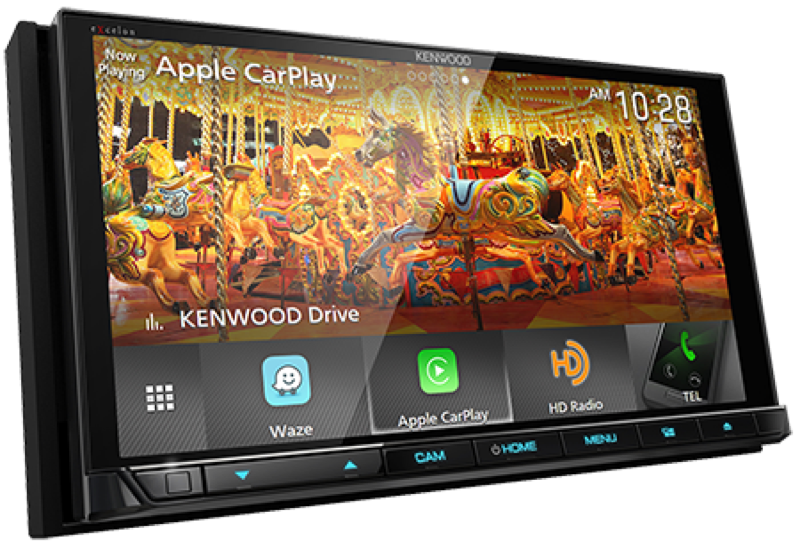 The Kenwood Weblink app gives you access to Waze, YouTube and Yelp apps. At the heart of the DDX9905S is support for the latest high-resolution audio formats. The 9905S will decode DSD, WAV and FLAC files and output audio signals up to 44kHz for smooth, detailed sound. Premium components and design ensure excellent signal-to-noise performance for a listening experience that rivals the best studios. The 6.75-inch screen on the DDX9905S features a capacitive touch interface that is clear and detailed. 1280 by 720-pixel display renders graphics and video with amazing resolution. The AAS (Azimuthal Anchoring Switch) design ensures excellent color and contrast over a 170-degree viewing angle. The DDX9905S includes a 13-band graphic equalizer, built-in electronic crossovers and six-channel signal delay that allows us to fine-tune your audio system to perfection. Five-volt, low-impedance preamp outputs ensure great sound when we add amplifiers. HD Radio, Bluetooth, Pandora and Spotify support are all included, and the system is SiriusXM ready. The DDX9905S includes dedicated video inputs for front and rear cameras. Additionally, the unit is compatible with the DRV-N520 dashcam system. The DDX9905S is also fully compatible with the IDatalink Maestro RR radio replacement interface to provide advanced connectivity to your vehicle’s safety, infotainment and configuration options. If you are in the market for the highest-quality, most advanced multimedia receiver available, drop by The Audio Garage and ask to see the Kenwood eXcelon DDX9905S. For more information, give us a call or send an e-mail using our online contact page.